The acclaimed National Book Award winner gives us a collection of spellbinding new essays that, read together, form a jigsaw-puzzle portrait of an extraordinary man. With the publication of his best-selling Of Wolves and Men, and with the astonishing originality of Arctic Dreams, Barry Lopez established himself as that rare writer whose every book is an event, for both critics and his devoted readership. Now, in About This Life, he takes us on a literal and figurative journey across the terrain of autobiography, assembling essays of great wisdom and insight. Here is far-flung travel (the beauty of remote Hokkaido Island, the over-explored Galápagos, enigmatic Bonaire); a naturalist's contention (Why does our society inevitably strip political power from people with intimate knowledge of the land small-scale farmers, Native Americans, Eskimos, cowboys? ); and pure adventure (a dizzying series of around-the-world journeys with air freight everything from penguins to pianos). And here, too, are seven exquisite memory pieces hauntingly lyrical yet unsentimental recollections that represent Lopez's most personal work to date, and which will be read as classics of the personal essay for years to come. In writing about nature and people from around the world, by exploring the questions of our age, and, above all, by sharing a new openness about himself, Barry Lopez gives us a book that is at once vastly erudite yet intimate: a magically written and provocative work by a major American writer at the top of his form. 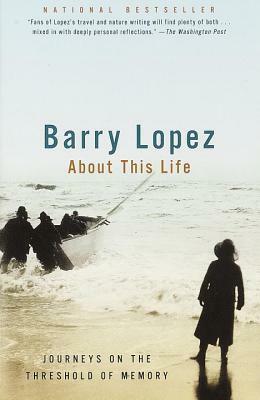 Barry Lopez is the author of six works of nonfiction and eight works of fiction. His writing appears regularly in Harper's, The Paris Review, DoubleTake, and The Georgia Review. He is the recipient of a National Book Award, an Award in Literature from the American Academy of Arts and Letters, a Guggenheim Fellowship, and other honors. He lives in western Oregon.